Double Room6 double rooms with outside windows. Double Room + Supplement3 people room with outside windows. Double Room with Private Terrace6 double rooms with private terrace. It is situated not too far from the beaches. It will take you just a couple of minutes to get to the beaches, to the town and to the downtown. 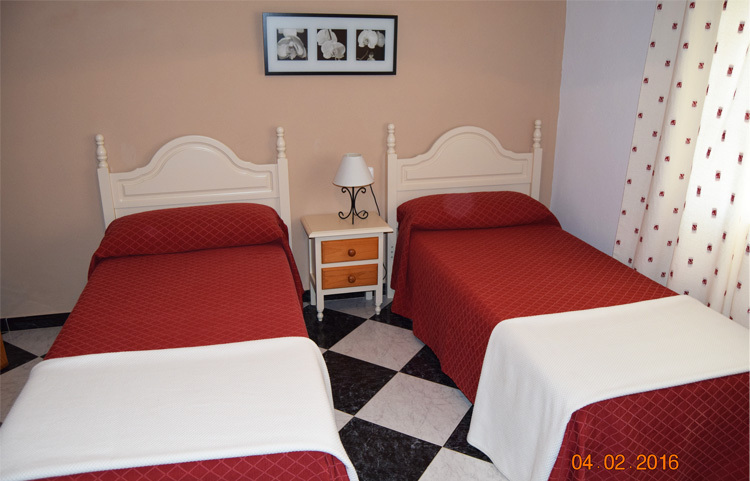 Our hostal has got twelve outer rooms. 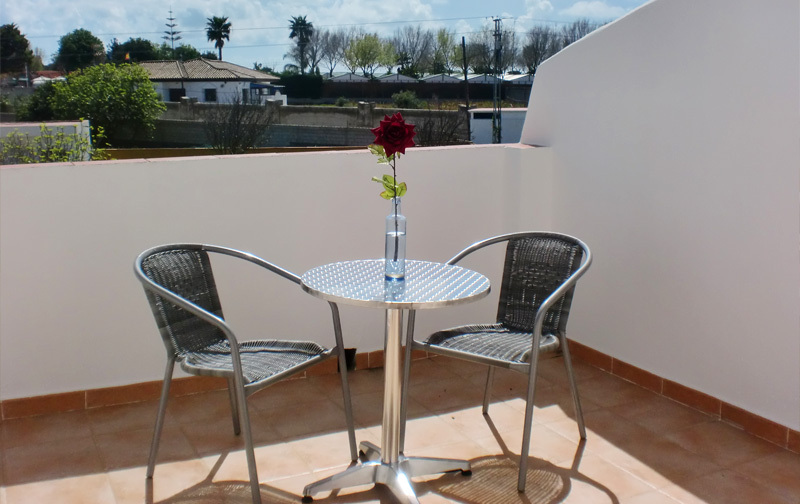 It is placed in a privileged rural environment near the pine forest, Cala del Aceite and the wonderful beaches. 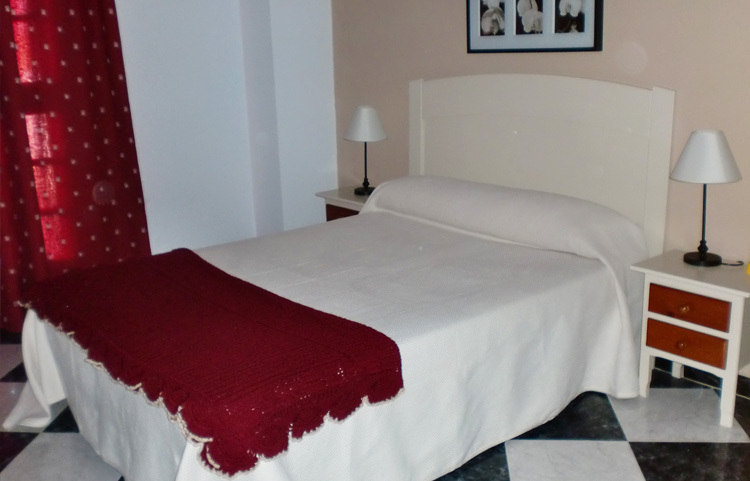 The Hostal is situated in an amazing place where the nature and peace take an important role; offering you a relax, peaceful and quiet environment and lodging. A fantastic place to spend some days off. La relación calidad-precio del Hostal es muy buena. El personal que lo lleva es muy agradable y simpático, te orientan fenomenalmente si les preguntas sobre las mejores rutas o lugares para visitar. Es un negocio familiar y se respira ese trato también con los clientes. La limpieza del lugar es excelente, muy cuidada. Si bien esta un poco apartado del centro del pueblo de Conil, ciertamente es lo que buscábamos nosotros, ya que te aleja un poquito del ruido de pueblo y son solamente 3 minutos en coche. Parking gratuito, gran acierto. WiFi también gratuito y muy rápido desde las habitaciones.Alfonso, Booking. Conil de la Frontera is a plain seaside town. It is a town on the Atlantic coast in the Southwest part of its province, Cádiz. It is about 43 kilometres far from its province. It belongs to La Janda region. The plains predominate in the Eastern part of Conil, and to round off your day, you can enjoy in the Western areas of the town where excellent cliffs are situated. It is well worth visiting and contemplating the views and the sunset from the Roche cliffs. Conil de la Frontera has a number of fine beaches, including many sheltered coves, or calas. 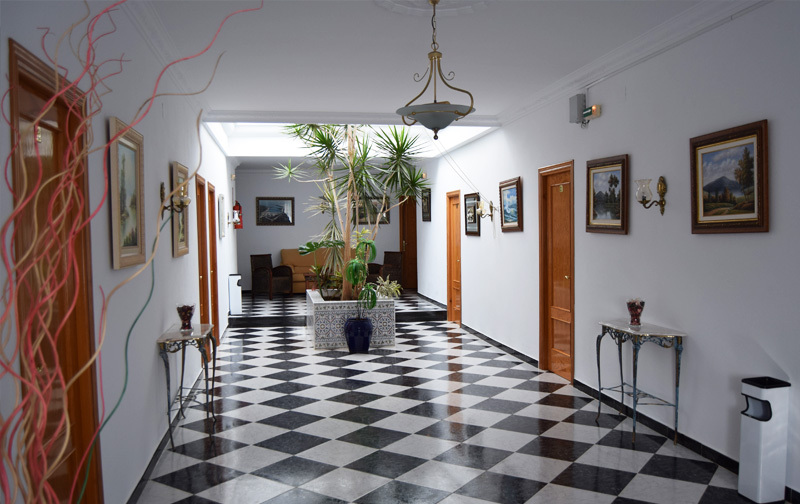 The most popular one for families, and closest to the town centre is La Fontanilla. The beaches are the main “reason to be” of Conil as a tourist town. In just 14 km of Coast, the visitor can find a delicious variety of beaches and coves of all sizes, environments and occupancy levels. Gastronomy in Conil de la Frontera is widely characterized by its fish and the richness of its garden.